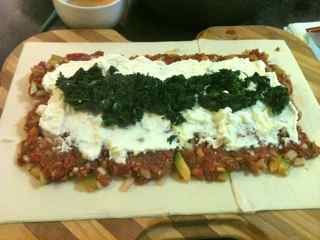 This elegant recipe for ground beef, is not one of my cheap quick easy dinner recipes. 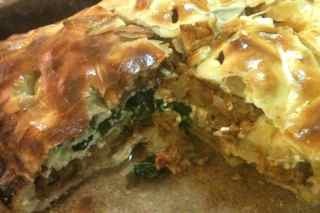 It is fiddly to make but the result is divine and it looks sensational! 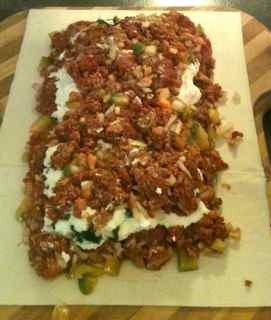 •	Cut 1/2 sheet of pastry and join to a full sheet. Use a little water where the pastry joins and press down firmly with your fingers. 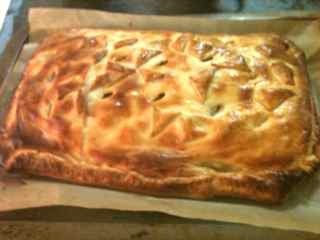 •	Spoon 2/3 of the meat mixture onto the pastry sheet. Use a flat spoon or spatula to compact the meat mixture. 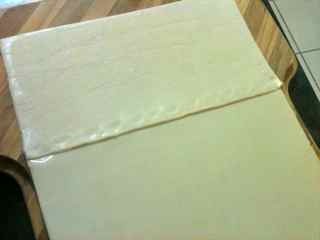 Leave a margin around the pastry sheet of about 3/4 inch. 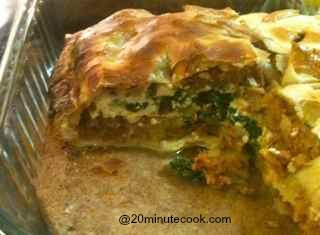 •	Fold the top sheet of pastry over the mound of layered meat and cheese filling. 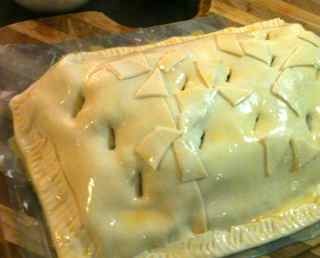 Press the top and bottom sheets of pastry together firmly, using a fork to firmly encase the filling. •	Trim away any excess pastry to use later to decorate. 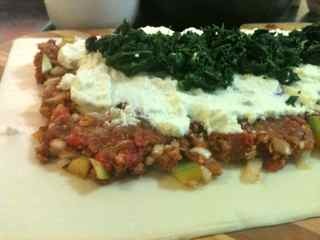 Fold the bottom pastry sheet up so that the meat is firmly enclosed. 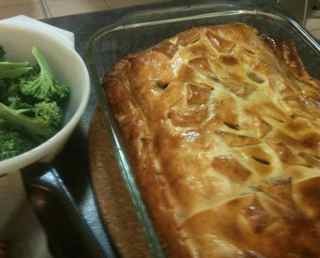 This pastry encased recipe for ground beef is just beautiful! 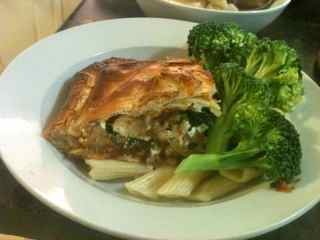 It's just lovely for a dinner party as the golden pastry looks sensational. Serve with brocolli florets for a contrast of colors. Be sure not to overcook the brocolli so that it retains its sharp dark green color. The egg wash browns the pastry so, be sure to brush it all over the pastry. This elegant recipe for ground beef is a beautiful meal to serve to guests that can be made on a budget. 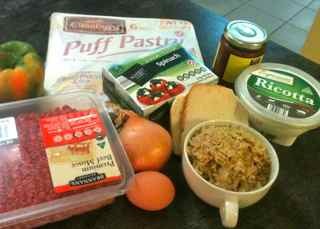 Although I consider this one of my easy recipes, it is simple but time consuming to put together. Nonetheless, it is worth every bit of the effort.